With so many custom laminate flooring options in Asheville, NC, you are bound to find something that suits you. 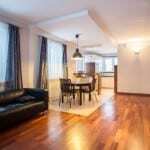 Custom Laminate Flooring in Asheville – f you are searching for an affordable flooring option that doesn’t compromise the look you want in your home, custom laminate flooring might be right for you. While laminate flooring is very versatile and comes in a variety of different hardwood simulating patterns, maybe hardwood isn’t the look you were hoping for. In the printing process, laminate flooring can be customized to mimic various natural stones or even ceramic materials. The tiles can even be designed with a similar texture as some natural materials. With so many custom laminate flooring options, you are bound to find something that suits you. Laminate flooring is designed to be easy to install, which saves time on your renovations. Whether you get planks or tiles, they connect and snap together, with no adhesives necessary. Laminate tiles come in a variety of sizes, so your custom laminate flooring can be designed to fill any space. 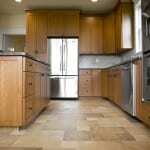 Besides being so easily customizable, laminate flooring has many other advantages. Your custom laminate flooring comes with a finish that is highly resistant to stains, scratches, and even mold growth, which makes laminate floors a great option for anyone with pets and/or children. If you are interested in installing custom laminate flooring in your Asheville, NC home, then Wright’s Carpet is the place for you. We offer 9 different brands, including Berry Floor, Bruce, Kraus, Lemett, Lamipro, Mannington, Mohawk Flooring, Natural Cork, and US Floors. Contact us at Wright’s Carpet today for more information; we are ready to help you achieve the look you want at a price you can afford. At Wright’s Carpet we offer quality custom laminate flooring for customers in Asheville, Swannanoa, Hendersonville and the surrounding areas of North Carolina!